Mandy Roberson is an online child educator who provides community and resources for new mothers and expectant mothers. 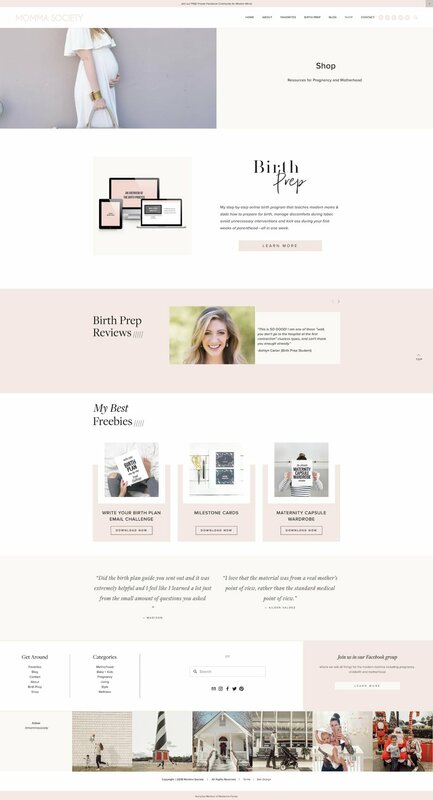 Her previous website was focused on her blog only and she was needing a new site to reflect her Birth Prep course and provide more of a business image than just a blog. 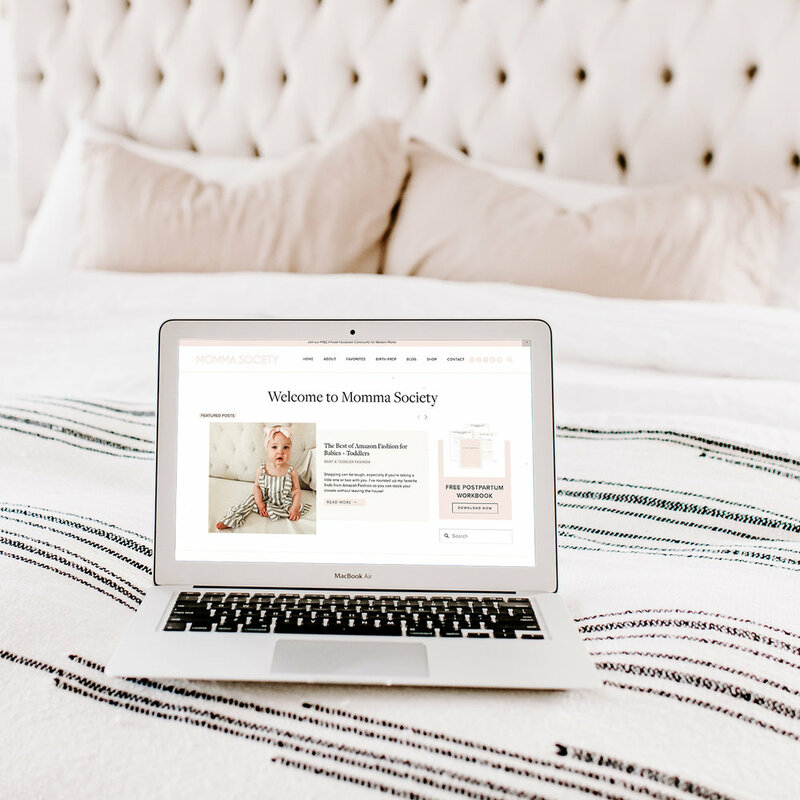 So many custom touches were used to create a high converting Squarespace web design that also looks beautiful. 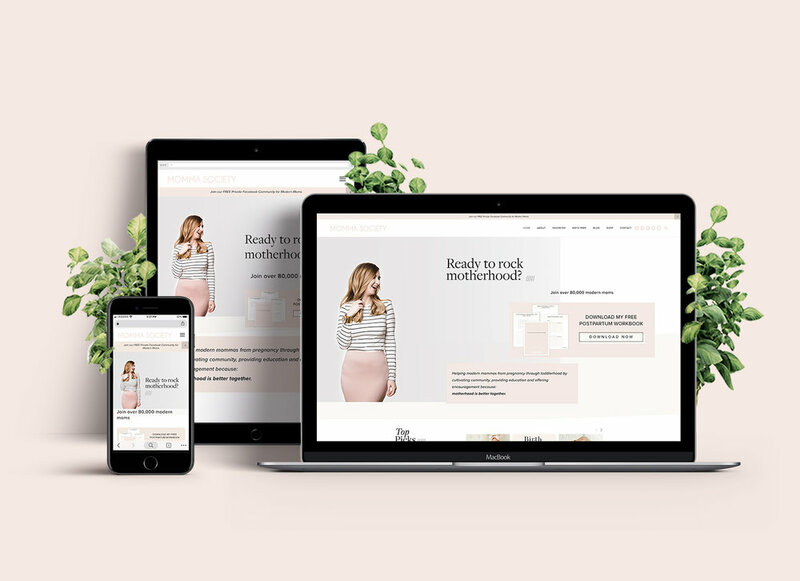 The design goal was for a modern, feminine and clean website and that is what was delivered. 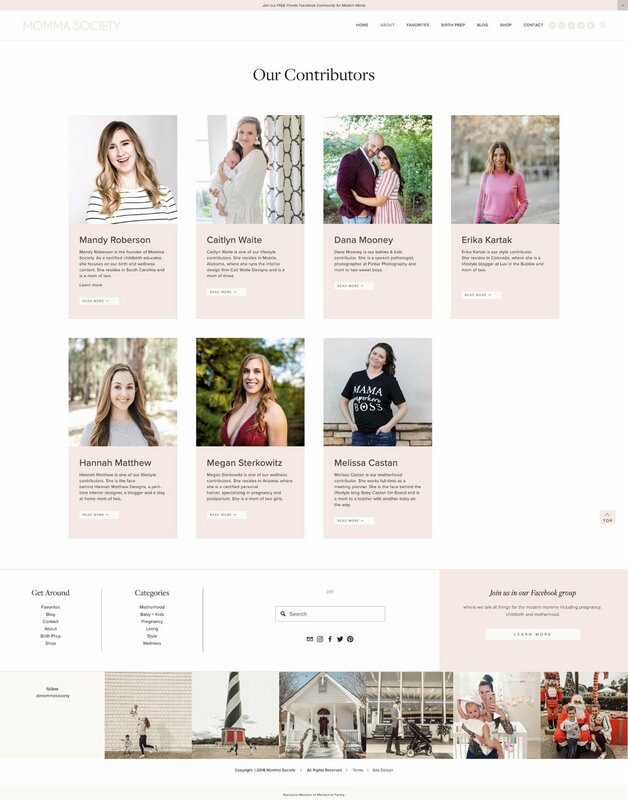 This site features Mandy’s many useful freebie downloads prominently throughout the site. The home page features the freebies as well as highlighting the blog and Mandy’s course. I asked Mandy: "What are some benefits of your new site?" 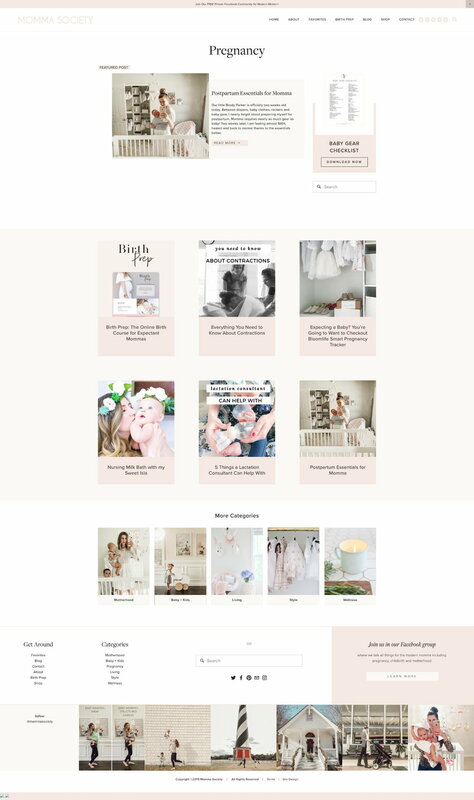 • Better usability for our visitors to find the content that is relevant to their stage of motherhood. • Better promotion of our lead magnets which will hopefully lead to more sales for our product offerings. In the first month after launching the site the website page views went up 89% over the previous month! Jodi is one of my favorite people to work with. This was my third project using her services and I can truly say her professionalism and organization is exceptional. Every detail is paid attention to and she thinks of automations and organization that truly enhance the user experience. There is no one else I trust with the design of the webpages I manage.